In the last two years of high school, you and your counselor will really begin to focus on what’s best for your future. You’ll discuss which colleges have programs that suit your interest and begin the college application process. Here’s what to expect as that time approaches. During the summer before your senior year, you should visit several college campuses that offer your intended major and get a feel for whether or not you can see yourself living there. You may fall so in love with one school that it’s the only one you want to apply to, but you really need to keep your mind open to a few others just in case that one doesn’t work out. Most colleges want to receive applications by December of your senior year, so you’ll need to begin the college application process as early as September. Meet with your high school counselor right away to make sure the classes you’re taking meet requirements for admission to your selected colleges. Then, go to each college’s website to review what you need to apply and start gathering those things. If you are applying for financial assistance, you’ll most likely need to have your Free Application for Federal Student Aid (FAFSA) in by January 1. College Application: This will be available online on many college websites. You’ll need to have personal information such as your social security number. ACT or SAT scores: You may have taken these exams during your junior year. If you want to re-take the exam for a better score, do so as soon as possible. Your scores can be sent to the college from the exam company or can be included in your college transcripts. Official High School Transcripts: Your counselor can get these for you. A Personal Essay: Each school should give you some topics to choose from. Take your time and write this carefully as it will reflect the type of student you are and your intentions for attending college. A Letter of Recommendation: Although not usually a requirement, a letter from a teacher or employer who knows your capabilities is a great way to impress a college admission staff. A Resume: If you’ve held a job during high school, volunteered your time regularly or received rewards worth mentioning, these should be listed on a resume. College admissions counselors want to know your accomplishments and how able you are to juggle multiple tasks while keeping up your grades. 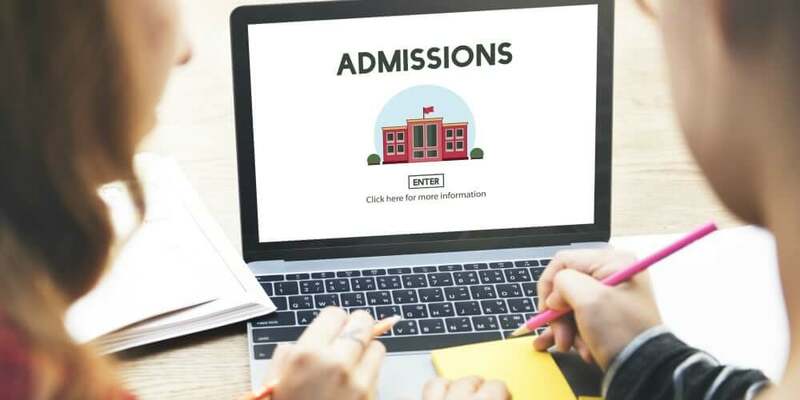 Once you’ve completed the college application process, you’ll need to keep your grades up as you wait for response letters since a drop in GPA could hinder your acceptance. You may receive some acceptance letters as early as February, and some as late as April. If you’re accepted into multiple schools, you will need to consider financial obligations as you make your final decision, then notify the college of your choice right away that you’ll be attending. You’ll probably need to submit a deposit for your first semester by the beginning of May. Now that the stress of applying to colleges is out of the way, you can look forward to the fun part — preparing to live on a college campus! Talk to other students you know who live away at school to get ideas of what you’ll need for your dorm room. Keep your eye out for sales on bedding, small refrigerators, lamps and other things you may want to take. Since dorm room mattresses are used year after year, you may want to consider buying a mattress topper to make you feel more comfortable and “clean” when you lay in bed. DormTopper is a mattress topper specifically for dorm room beds, made out of natural materials that wick away moisture and keep you cool and cozy all night. Good sleep is really important in college, so be sure to keep this option is mind. Good luck on your college application! Take your time choosing schools, and before you know it, you’ll be entering the college of your dreams. Before you make the big move, download your FREE copy of From Zs to As: A Guide to Better Sleep and Better Grades to learn about the overlapping impact of sleep and academic success. Don’t let sleep deprivation ruin your chances at the college of your dreams.